Israeli–Turkish relations are the bilateral ties between the State of Israel and the Republic of Turkey. Israel–Turkey relations were formalized in March 1949, when Turkey was the first Muslim majority country to recognize the State of Israel. Both countries gave high priority to military, strategic, and diplomatic cooperation, while sharing concerns with respect to the regional instabilities in the Middle East. According to a New York Times report in 1999, the strategic partnership between the two countries had the potential to alter Middle East politics: Trade and tourism were booming, the Israel Air Force practiced maneuvers in Turkish airspace and Israeli technicians were modernizing Turkish combat jets. There were also plans for high-tech cooperation and water sharing. Relations between Israel and Turkey took a downturn during the term of Recep Tayyip Erdoğan. Though Erdoğan had paid an official visit to Israel in 2005 as Prime Minister and initially had maintained business-as-usual relations, his perceived anti-Israeli rhetoric and efforts to lead a specific role in Israeli–Palestinian conflict have symbolized an intentional shift of Turkish interests in the Middle East and realignment from secular Israeli-oriented to Islamist pro-Arab stance. Most notably, the relations deteriorated after the 2008–09 Gaza War and the 2010 Gaza flotilla raid. In March 2013, Israel apologized for the raid, opening a path for normalized relations. However, despite US-mediation, no progress has been achieved in reconciliation through 2013. With the scandal over, alleged Turkish involvement in exposure of Israeli special agents in Iran in October 2013, the relations between Israel and Turkey hit a new low. However, in December 2015, Turkey and Israel began to negotiate restoration of diplomatic relations by holding a secret meeting, in the aftermath of the 2015 Russian Sukhoi Su-24 shootdown by Turkey the previous month, and the subsequent crisis with Russia and the increasing isolation of Turkey. The two countries reached an agreement on 27 June 2016 to start the process of normalization of ties. In December 2017, President Erdoğan threatened to break off diplomatic ties with Israel if the United States formally recognizes Jerusalem as Israel's capital. He has not carried out the threat. Ceremony at the Turkish Soldiers Monument for the fallen Ottoman soldiers in Beersheba. 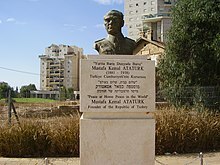 Atatürk memorial next to the Turkish Soldiers Monument in Beersheba. 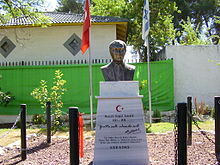 Atatürk memorial built by Arkadaş Association in Yehud. Although it had voted against the United Nations Partition Plan for Palestine, Turkey recognized the State of Israel in 1949. Turkey’s first diplomatic mission in Israel was a "Legation" and was officially inaugurated on 7 January 1950 and the first Turkish Chief of Mission, Seyfullah Esin presented his credentials to Chaim Weisman, President of Israel. However, the Turkish Legation was downgraded to the level of "Charge d’Affaires" after the Suez Canal Crisis on 26 November 1956. In 1958, Israeli prime minister David Ben-Gurion and Turkish prime minister Adnan Menderes met secretly to discuss a "peripheral pact" which included public-relations campaigns, exchange of intelligence information and military support. In 1967, Turkey joined the Arab condemnation of Israel after the Six-Day War and called for Israel’s withdrawal from the occupied territories but abstained from voting in favor of a clause referring to Israel as an "aggressor state." At a meeting of the Organization of the Islamic Conference in Rabat, Morocco, Turkey opposed a resolution calling for severing diplomatic relations with Israel. As a result of positive developments in bilateral ties, the Turkish mission in Tel-Aviv was upgraded back to the level of "Legation" in July 1963 and further upgraded to the level of "Embassy" as of January 1980. Upon Israel’s annexation of East Jerusalem and enunciation of Jerusalem as its eternal capital, the representation was relegated to the level of "Second Secretary" on 30 November 1980. 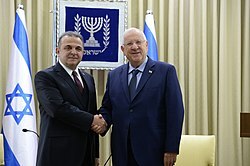 The positive atmosphere in the Israeli–Palestinian peace process in the early 1990s made it possible to raise the mutual diplomatic relations once again to Ambassadorial level and a Turkish Ambassador presented his credentials to President Chaim Herzog, on 23 March 1992, in Tel Aviv. Israel has maintained two diplomatic missions in Turkey: its embassy is located in the capital city of Ankara, and its Consulate General is located in Turkey's largest city, Istanbul. Until the recent downgrading in relations, the Israeli ambassador to Turkey was Gabby Levy, and the Israeli consul-general was Mordechai Amihai. These missions are responsible for Israeli consular affairs for the Marmara, Aegean, Eastern Thrace and western part of the Black Sea regions of Turkey. In Turkey 2002 election the Justice and Development Party, also known as AKP, won a landslide victory. Prime minister Recep Tayyip Erdoğan visited Israel in 2005 offering to serve as a Middle East peace mediator and looking to build up trade and military ties. Erdoğan brought a large group of businessmen on his two-day trip, which included talks with Prime Minister Ariel Sharon and President Moshe Katsav. Erdoğan also laid a wreath at the Holocaust memorial, Yad Vashem. Erdoğan told Sharon that his Justice and Development Party regarded anti-Semitism as "a crime against humanity." He added that Iran's nuclear ambitions were a threat not just to Israel but to "the entire world." In early 2006, the Israeli Foreign Ministry described its country's relations with Turkey as "perfect." A joint Israeli-Palestinian industrial park was being developed under Turkey's aegis. Israeli President Shimon Peres and Palestinian Authority President Mahmoud Abbas addressed the Grand National Assembly of Turkey a day apart. Peres described Turkey as an "important player in the Middle East in relation to the United States, Syria and the Palestinians, as well as us." According to a report in the Jerusalem Post, a spokeswoman for the Syrian Foreign Ministry said that Turkey was serving as a "channel of communication" between Syria and Israel. On a three-day visit to Ankara in November 2007, Israeli President Shimon Peres met with Turkish President Abdullah Gül, and addressed the Grand National Assembly of Turkey. Gül promised to help free three abducted Israeli soldiers: Gilad Shalit, Ehud Goldwasser and Eldad Regev. The Turkish government's condemnation of the 2008–2009 Israel–Gaza conflict strained relations between the two countries. In December 1987, Turkey had already declared support for the Palestinians' right to self-determination. In 2004, Turkey had denounced Israeli assassination of Sheikh Ahmed Yassin. It described Israeli policy in the Gaza Strip as "state-sponsored terrorism". There were demonstrations across Turkey against Israeli actions in Gaza. On 5 March 2009, the Israeli daily newspaper Haaretz reported that "secret reconciliation talks at the highest level" had been held to get the Israeli-Turkish relations back on track. This report was cited in the Turkish press. On 11 October 2009, a military aerial exercise was to consist of Turkey, Israel, the United States, and Italy. However, Turkey barred Israel from the Anatolian Eagle military exercise. In October 2009, following Turkey's banning Israel's participation in the Anatolian Eagle military exercise, Israeli Prime Minister Benjamin Netanyahu objected to Turkey as a mediator, stating "Turkey can't be [an] honest broker", between Syria and Israel. Turkey's Prime Minister Recep Tayyip Erdoğan criticizes Israeli policy and leaves the World Economic Forum in Davos, Switzerland. Erdoğan harshly criticized Israel's conduct in Gaza at the World Economic Forum conference in Davos, Switzerland in January 2009. After the assembled audience applauded Peres, Erdoğan said: "I find it very sad that people applaud what you said. You killed people. And I think that it is very wrong." The moderator, Washington Post columnist David Ignatius asked Erdoğan to finish, saying that people needed to go to dinner. Erdoğan complained about the fact, that he was given 12 minutes to talk, whereas Peres talked for a duration of 25 minutes. Erdoğan then proceeded to leave the stage. In October 2009, Ayrılık, a prime-time serial on Turkish state television channel TRT 1 featured fictionalized scenes of Israeli soldiers shooting Palestinian children and mistreating elderly Arabs. Israeli Foreign Minister Avigdor Lieberman criticized the program, and rebuked the Turkish Ambassador in front of assembled media. Lieberman subsequently apologized after Turkey threatened to withdraw its ambassador. After Hamas leader Khaled Mashal paid an official visit to Turkey, relations began to cool off. In January 2010, Israel protested when an episode ("Ambush") of the Turkish soap opera Valley of the Wolves depicted Israeli intelligence spying inside Turkey and kidnapping Turkish babies. The series depicted a fictional Mossad attack on the Turkish embassy in Tel Aviv in which the ambassador and his family are taken hostage. On 11 January 2010, Israeli Deputy Foreign Minister Danny Ayalon met with Turkish ambassador Ahmet Oğuz Çelikkol, who was seated on a stool that was lower than Ayalon's. Ayalon allegedly turned to his aide and quipped, "The main thing is that you see that he is seated low and that we are high ... that there is one flag on the table (the Israeli flag) and that we are not smiling." Moshe Ya'alon, Israel's Minister of Strategic Affairs, accused Turkey of cooperating with Hamas and Iran. According to the Shin Bet, Hamas established a command post in Turkey and has used it to recruit operatives and oversee operations in the Middle East. David Ignatius has reported that in 2012, Turkey revealed the names of Mossad agents to Iran. IDF photo-Pro-Palestinian activists aboard the MV Mavi Marmara; nine of them were killed by the IDF. On 31 May 2010, nine activists (eight Turkish citizens and one Turkish-American with dual citizenship) were killed and many more wounded by Israeli troops and seven Israeli soldiers were injured on the Mavi Marmara, part of the "Gaza Freedom Flotilla", a convoy of six ships carrying 663 people from 37 nations, including pro-Palestinian activists. Following the raid, which took place in the Mediterranean Sea in international waters, tension between the two countries mounted. One of the ships taking part was flying a Turkish flag. Turkish Prime Minister Erdoğan described the raid as "state terrorism". Turkey recalled its ambassador from Israel, and summoned the Israeli ambassador to demand an explanation. The Turkish Foreign Ministry stated that the incident could lead to irreparable consequences in bilateral relations. On 2 September 2011, Turkey downgraded diplomatic ties with Israel and suspended military co-operation after the UN released its report of the Mavi Marmara raid. A statement from the Israeli prime minister's office said, "Israel hopes to find a way to overcome the dispute and will continue to work towards this goal". Turkey demanded an Israeli apology and compensation over 31 May 2010 incident aboard the Mavi Marmara in which eight Turkish nationals and an American man of Turkish descent died when the vessel was stormed by Israeli commandos. The Israeli government refused to give one. In September 2011, Turkey expelled Israel's ambassador after a UN report found that the blockade of Gaza was legal according to international law although excessive force was used when boarding the ship. Israeli officials stated that they hoped to restore ties but reiterated that they would not apologize. Hamas praised Turkey's decision. Kemal Kılıçdaroğlu, Turkey's opposition leader, condemned the downgrade in relations with Israel, stating "No good can come of it and there is no need for us to risk our interest with petty action." Faruk Logoglu, a deputy chairman of the opposition Republican People's Party, criticized Erdoğan, stating that "The probability that (Turkey's ruling) party has carried Turkey to the brink of a hot conflict is saddening and unacceptable." Alon Liel, a former Israeli ambassador to Turkey, stated that it was unlikely that Turkish forces would penetrate Israeli waters, but speculated that Turkey might to disrupt future Israeli gas exports to Cyprus and warned of a new Turkish-Egyptian alliance that could isolate Israel in the Mediterranean. Israeli Defense Minister Ehud Barak predicted that the rift would pass in time. At the U.N. General Assembly in September 2011, U.S. President Barack Obama asked Erdoğan to resolve the crisis with Israel. The Turkish Foreign Ministry called on the international community and the United Nations to take the necessary initiatives to stop Israel's military operation in Gaza on late 2012, which it described as another example of Israel's hostile policies. Turkish Foreign Minister Ahmet Davutoğlu see in this attack another of Israel's "crimes of humanity." Turkish Prime Minister Recep Tayyip Erdogan accused the United Nations on 19 November of failing to act over the deadly Israeli air bombardments of Gaza, calling Israel a "terrorist state" that "massacres innocent children". During his speech in Vienna on 1 March 2013 at a United Nations event, Turkish Prime minister Recep Tayyip Erdoğan devoted to dialogue between the West and Islam, decrying the rising racism in Europe and the fact that many Muslims "who live in countries other than their own" often face harsh discrimination. Erdoğan described Zionism as "a crime against humanity" saying, "It is necessary that we must consider—just like Zionism, or anti-Semitism, or fascism—Islamophobia." In an interview to the Euronews, Shimon Peres argued that Erdoğan's statements are based on ignorance and they raise the flames of hatred. On 20 March, Erdoğan began an official visit to Denmark with an effort to clarify his remarks he made on 27 February at a UN conference in Vienna referring to Zionism as a crime against humanity. "Let no one misunderstand what I said. Everyone knows that my criticism [of Israel] focuses on some critical issues. It's directed especially toward Israeli policies on Gaza," Erdoğan said in an interview with Politiken, a Danish newspaper. Erdoğan claimed February comments were not anti-Semitic but rather a criticism of Israel's policies. Following US pressure on both sides, reconciliation took off in early 2013. On 22 March 2013, during a phone call with Turkey's Prime Minister Recep Tayyip Erdoğan, Israel's Prime Minister Benjamin Netanyahu apologized for the Gaza Flotilla incident. An official statement by the Israeli government said that Netanyahu expressed regret over deterioration in bilateral relations and described the incident as unintentional, regretful and—according to an investigation—involving "operational errors". Mr. Erdogan later issued a statement, where he accepted the apology on behalf of the Turkish people. Israel also vowed to compensate the victims' families. An Israeli statement first said that the countries had agreed to restore normal diplomatic relations, including the return of ambassadors and cancellation of Turkish legal proceedings in absentia against Israeli troops involved in the raid, but this statement was later omitted. U.S. President Barack Obama, whose visit to Israel coincided with the development and who was credited with brokering the reconciliation, said that the U.S. "attached great importance to the restoration of positive relations between [Israel and Turkey] in order to advance regional peace and security." The Israeli Foreign Ministry spokesman later stated that Erdoğan’s accusation was "a statement well worth not commenting on." Egypt's interim government rejected Erdoğan' claim, describing it as "baseless," "very bewildering," and charged that "Its purpose is to strike at the unity of Egyptians." With the scandal over alleged Turkish involvement in exposure of Israeli special agents in Iran in October 2013, the relations between Israel and Turkey have hit a new low. In December 2015, Turkey and Israel began talks to restore diplomatic ties; however disagreements on normalising relations between both sides still continue. On 19 March 2016, a suicide bombing by ISIL took place in Istanbul's Beyoğlu district. Among those killed were two dual Israel-US nationals and one Israeli national. Following the attack Erdogan wrote a letter of condolences to Israeli President Reuven Rivlin, saying he was "very sorry" to hear that three Israelis were killed and 10 wounded in the attack. The letter stated: "I want to send my deepest condolences to the Israeli people and the families that lost their loved ones in this traitorous attack." On 20 March, Dore Gold, the director-general of the Israeli Foreign Ministry, came to Istanbul to hold talks with the undersecretary of the Turkish Foreign Ministry Feridun Sinirlioğlu and the governor of Istanbul Vasip Şahin about the ISIL attack. On 21 March, Gold thanked the Turkish government for what it did in the aftermath of the attack and underlined the need for an alliance in the fight against terror. Furthermore, he said: "I want to thank first and foremost the government of Turkey, which did everything to its capacity and helped the families of Israelis that came to take care of beloved ones. It helped us to get through any bureaucracy in the Turkish hospitals and bring the wounded as well as deceased back home to Israel." A reconciliation agreement was announced on 27 June 2016 to end the six-year rift in the relation between both countries. The Turkish Parliament will pass a law canceling all appeals against Israeli soldiers involved in the killing of nine Turkish citizens during the Gaza flotilla raid and will also block any future claims. Commitment to stop terrorist or military activity against Israel on Turkish soil including funding and aid to such activities from Turkey. Palestinian movement Hamas will be allowed to operate on Turkish soil but only as a political movement. Turkey will accept to send all aid to the Gaza Strip through Israel and then from Israel to Gaza on land. Israel will give $20 million as compensation for the families of those who died and were injured in the raid. The money will be transferred through a humanitarian fund in Turkey. An Israel official said the money will be transferred only after the Turkish parliament will pass the law renouncing all appealings against Israeli soldiers involved in the incident. The two countries will start a process of renormalizing their relations, reappointing ambassadors to Ankara and Tel Aviv and ending all sanctions between the two. The agreement was approved by the Israeli security cabinet by a vote of 7-3 on June 29. The agreement was then approved by the Turkish parliament on August 20, 2016. Turkish President Recep Tayyip Erdogan then signed the agreement on August 31. On October 7, Turkey named foreign policy expert Kemal Okem as ambassador to Israel, though he will not be officially confirmed until Israel names their ambassador to Turkey after the Jewish holidays conclude on October 27. Israel's decision to name an ambassador was later postponed. On November 15, Israel named Eitan Na'eh as ambassador to Turkey. In a reciprocal move, Erdogan confirmed on November 16 the nomination of Kemal Okem as Turkish ambassador to Israel. Na'eh arrived in Ankara on November 31. Turkey also agreed to drop charges against four Israeli soldiers on December 8. On December 12, Okem arrived in Jerusalem. In May 2018, conflicts between Israeli troops and Palestinian protestors in the Gaza Strip broke out following the announcement of the decision of the United States to move its embassy to Jerusalem. On 14 May 2018, Erdoğan accused Israel of carrying out a "genocide" after Palestinian deaths and accused Israel of being a "terrorist state". The Turkish government also declared a three-day national mourning. On 15 May 2018, Turkey expelled the Israeli ambassador and withdrawn its ambassador in Tel Aviv for consultations in protest at the killing of Palestinians by Israeli troops during the conflicts. In response, Israel expelled Turkey’s consul in Jerusalem. In addition, Israeli Agriculture Minister Uri Ariel ordered the freezing of import of agricultural produce from Turkey. In a joint news conference with British Prime Minister Theresa May following a meeting in London, Erdoğan said that Turkey will never accept Jerusalem as the capital of Israel. In addition, he called on the international community and the U.N. "to act without wasting time and stop this oppression" in Palestine. During the next day, Erdoğan tweeted to Netanyahu that Hamas is not a terrorist organization but a resistance movement that defends the Palestinian homeland against an occupying power, adding that the world stands in solidarity with the people of Palestine against their oppressors. Netanyahu responded that "A man who sends thousands of Turkish soldiers to hold the occupation of northern Cyprus and invades Syria will not preach to us when we defend ourselves from an attempted infiltration by Hamas." And added that "A man whose hands are stained with the blood of countless Kurdish citizens in Turkey and Syria is the last one who can preach to us about combat ethics," At a dinner in Ankara Erdogan said that "If the silence on Israel’s tyranny continues, the world will rapidly be dragged into a chaos where banditry prevails,"
On 17 May, Turkish Foreign Minister Mevlüt Çavuşoğlu said that Israel should be taken to the International Criminal Court, for crime against humanity. He also added that Turkey has been providing all legal assistance to the state of Palestine to this end. On 18 May, leaders of the Organization of the Islamic Cooperation member states gathered in Istanbul to attend an extraordinary summit, called by Turkey, to show solidarity with the Palestinian people, to denounce the relocation of the United States embassy to Jerusalem and the Israeli attacks against Palestinians. At the same time, thousands gathered in Istanbul’s Yenikapı fairgrounds to show solidarity with Palestinians, including the Turkish Prime Minister Binali Yıldırım, Nationalist Movement Party leader Devlet Bahçeli, and Great Union Party leader Mustafa Destici. The same day, two Israeli journalists, from the broadcaster Hadashot, were shoved while they interviewed locals in Taksim Square about their views about the incidents in Gaza. The main opposition Republican People’s Party presidential candidate Muharrem İnce said that the government should take solid action against Israel rather than just holding rallies. On 19 May, Turkey launched a major aid campaign for Palestine. Speaking at a news conference to launch the campaign, titled “Be the hope for Palestine,” Turkey’s Deputy Prime Minister Recep Akdağ called on Turkish people to join the nationwide aid campaign by donating via bank accounts or sending a text message. Akdağ said that Turkey's Disaster and Emergency Management Authority and the World Health Organization would cooperate on a project to send medical aid to Gaza. In 1996, Turkey and Israel signed a free-trade agreement. In 1997, a double-taxation prevention treaty went into effect. A bilateral investment treaty was signed in 1998. Israeli-Turkish trade rose 26% to $2 billion in first half of 2011 from $1.59 billion in the first half of 2010. According to the Israeli Chamber of Commerce, Israeli exports to Turkey rose 39% to $950 million, and imports from Turkey rose 16% to $1.05 billion. Turkey is Israel's sixth-largest export destination. Chemicals and oil distillates are the primary exports. Turkey purchases high-tech defense equipment from Israel, whereas Turkey supplies Israel with military boots and uniforms. Israeli import of Turkish vegetable products has remained steady since 2007, and imports of prepared foodstuffs, beverages and tobacco doubled from 2007 to 2011. In 2007, Israel and Turkey discussed the sale of Israeli Ofeq satellites and Arrow missile air-defence systems to Turkey to upgrade Turkish military and intelligence capabilities. Israeli defense companies have helped to modernize the F-4 Phantom fleet of the Turkish air force. Agreements have included air, sea, land and intelligence cooperation, manufacturing of aircraft, armaments and missiles, mutual military visits, training and exercises, dispatch of observers to oversee military exercises, staff exchanges and military know-how. Modernization of Turkey's F-4 Phantoms and F-5 aircraft – $900 million. Upgrading 170 of Turkey's M60A1 tanks – $687 million. Popeye-II surface-to-air missiles – $150 million. 10 Heron UAV - $183 million. 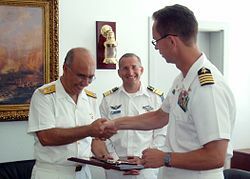 The agreement provided exchange of pilots eight times a year; allowed Israeli pilots to practice "long range flying over mountainous land" in Turkey's Konya firing range; and permitted Turkish pilots to train at Israel's computerized firing range at the Nevatim airfield. The two navies conducted maneuvers during Operation Reliant Mermaid (the U.S. also participated) in January 1998. In September 2011, military agreements between Turkey and Israel were suspended. Turkey has frozen 16 defense contracts worth billions of dollars since March 2010. Turkey suspended a 5 billion dollar deal for 1,000 Merkava Mk 3 tanks. Turkey also dropped Israel Aerospace Industries Arrow-2 anti-ballistic missile system worth $2 billion from bidding, with only U.S, European, and Chinese companies allowed to bid. Turkey was an important tourism destination for Israelis. Istanbul is a 90-minute flight from Tel Aviv. No visas are required for Israelis to visit Turkey, while Turkish citizens with ordinary passports need a visa prior to travelling Israel. In 2008, before the 2008-09 Gaza War, 560,000 Israelis vacationed in Turkey, according to Israeli tourism officials. In October 2010 Israel's Tourism Minister Stas Misezhnikov encouraged Israelis to boycott Turkey as a vacation spot in response to Turkey's stance on Gaza. The number of Israeli tourists in Turkey dropped to 300,000 in 2009 and to 110,000 in 2010; it declined further to about 62,000 between January and August 2011. According to Turkey’s Ministry of Culture and Tourism, Israelis' share of Turkey's total tourism declined from 3% to 0.05%. The number of Arab tourists in Turkey, by contrast, increased to about 1.4 million visitors in the first part of 2011, a jump from about 912,000 in the whole of 2009. Turkey’s Prime Minister Recep Tayyip Erdoğan stated in June 2012: "We do not need Israeli tourists. We have successfully filled their places". Still, tourism to Antalya rose by more than 20% from September 2010 to September 2011, and the number of Israeli visitors to Istanbul rose 13%, still well below previous peaks. Turkish Airlines dropped the number of weekly flights to Israel by about half in 2010. In 2011, Turkish charter airlines began to cut back weekly flights on routes to and from Israel against the backdrop of the crisis in relations between the two counties and the decline in Israelis' Turkey holidays. It also emerged that El Al Israel Airlines had contingency plans that would address the possibility that Turkey would bar the Israeli carrier from overflying Turkish territory. However, it was announced by the Israeli Airports Authority that in 2013 and 2014 Turkish Airlines flew more passengers to and from Israel than any other foreign airline. After the 1999 Izmit earthquake, Israel assisted in search and rescue efforts and set up makeshift hospitals. The Israeli team included hundreds of personnel from the IDF SAR team, paramedics, surgeons and administrative personnel. The team was one of the largest international teams to assist in the catastrophe (which claimed more than 17,000 lives) and remained active for weeks. One of the iconic images of the catastrophe was an "Israeli rescue dog with a red Star of David sniffing through debris in the devastated port city of Gölcük". During the Mount Carmel forest fire in 2010, Turkey was one of the first nations to send aid to Israel. Turkey sent two firefighting aircraft, which started to extinguish fire in the early hours of 3 December. Following the 2011 Van earthquake, Israel offered to provide prefabricated housing and tents in response to Turkish requests for foreign aid. Israel airlifted mobile homes to the devastated region. The Arkadaş Association was established in 2003 to preserve the heritage of Turkish Jews, promote the study of Ladino, and strengthen ties between Israel and Turkey. The organization has over 4,000 members since its inception, about 40 volunteers to run its vast operations and its twelve branches throughout the country. Eyal Peretz, chairman of the association, told the Jerusalem Post that Jewish heritage trips to Turkey had stopped because of security concerns and dwindling demand. Peretz stated, "I've devoted most of my life as an adult to cultivate ties between the two people and I've seen how a warm relationship has been erased in one fell swoop. It's very painful, very frustrating." Cyprus and Israel signed an accord demarcating their maritime borders to facilitate offshore gas exploration. Cypriot Foreign Minister Markos Kyprianou and Israel's Infrastructure Minister Uzi Landau signed the deal in Nicosia. The intent is to facilitate a search for mineral deposits in the east Mediterranean where huge natural gas reserves have been discovered. Turkish sources said that the Foreign Ministry had summoned Israel's Ambassador to Turkey, Gabby Levy, and expressed discontent over the agreement. Israeli energy firm Delek Group is seeking to work with Cyprus on natural gas exploration and extraction where Delek is already active. According to Turkish media reports in September 2011, Israel Air Force fighter planes flew through the airspace of Cyprus after taking off to face a Turkish seismic research ship in the Eastern Mediterranean. The reports added that Turkey responded by launching two fighters to track the Israeli planes, at which point the Israeli fighter jets returned to Israeli airspace. The Turkish research vessel was seen as a Turkish provocation in the dispute over gas fields. The operation of Israeli planes in Cyprus airspace was interpreted as a further sign of close Israel-Cyprus ties and as a challenge to Turkey. In May 2012, the Turkish Army command said its fighter jets chased an Israeli plane out of Turkish-occupied Cypriot airspace. In May 2012, Cyprus also denied a report that Israel planned to deploy 20,000 troops in Cyprus to protect Israelis working on energy projects. Shortly after the voting of the UN General Assembly Turkish Foreign Minister Ahmet Davutoğlu stated that Israel should question why it did not have the support by the majority of countries at the Palestine Vote in the UN General Assembly and declared that Palestine was now a state. Palestinian National Authority Foreign Minister Riyad al-Maliki and Turkish diplomats celebrated at the Türkevi, the Turkish Center in New York City. ^ a b "Timeline of Turkish-Israeli Relations, 1949–2006" (PDF). Archived from the original (PDF) on 19 March 2009. Retrieved 6 February 2016. ^ a b "Turkey and Israel". SMI. Archived from the original on 22 February 2011. Retrieved 6 May 2010. ^ "Analysis: Middle East's 'phantom alliance'". BBC News. 18 February 1999. Archived from the original on 26 May 2004. Retrieved 5 June 2010. ^ "Israeli Missions Around The World". Turkish Foreign Ministry. 26 March 2012. Archived from the original on 20 February 2012. Retrieved 23 March 2013. ^ "Quake Relief Shows Israel Feels Deeply For Turkey". The New York Times. 28 August 1999. Archived from the original on 6 March 2016. Retrieved 17 April 2016. ^ a b c d Sidner, Sara; Watson, Ivan; Sterling, Joe (22 March 2013). "Israel to Turkey: We apologize for deadly raid on Gaza-bound flotilla". CNN. Archived from the original on 25 March 2013. Retrieved 22 March 2013. ^ a b c d e Greenberg, Joel; Wilson, Scott (22 March 2013). "Obama ends Israel visit by bringing together two estranged powers". Washington Post. Archived from the original on 22 March 2013. Retrieved 22 March 2013. ^ a b "Turkey rejects claims it blew Israeli agents' cover - CNN.com". CNN. 17 October 2013. Archived from the original on 17 October 2013. ^ a b Turkey and Israel are in talks to restore diplomatic ties Archived 24 December 2015 at the Wayback Machine LA Times, 23 December 2013. ^ a b Turkey Conditions Normalized Ties With Israel on 'Unrestricted Access' to Gaza Archived 26 December 2015 at the Wayback Machine Haaretz, 26 December 2015. ^ a b Ravid, Barak (27 June 2016). "Israel and Turkey Officially Announce Rapprochement Deal, Ending Diplomatic Crisis". Haaretz. Archived from the original on 27 June 2016. Retrieved 27 June 2016. ^ "Turkey's Erdogan threatens ties with Israel over Jerusalem issue". Jerusalem Post. 5 December 2017. Retrieved 11 August 2018. ^ "Israel / Rep. of Turkey Ministry of Foreign Affairs". Turkish Foreign Ministry. Archived from the original on 2 June 2014. Retrieved 23 March 2013. ^ "Rep. of Turkey Ministry of Foreign Affairs". Turkish Foreign Ministry. Archived from the original on 14 February 2012. Retrieved 23 March 2013. ^ "Web Sites of Israeli Missions Abroad". Israel-mfa.gov.il. Archived from the original on 20 June 2008. Retrieved 5 June 2010. ^ "The Israeli Government's Official Website, by the Ministry of Foreign Affairs". Foreign Ministry. Archived from the original on 21 July 2011. Retrieved 5 June 2010. ^ "Israeli Missions Around The World". Foreign Ministry. 26 March 2012. Retrieved 23 March 2013. ^ Greg Myre, New York Times (2 May 2005). "Turkish leader visits Israel, offers to help with peace process". SFGate. Retrieved 17 April 2016. ^ "Turkish Leader Visits Israel, Restoring Friendly Ties". The New York Times. 2 May 2005. Archived from the original on 20 August 2014. Retrieved 17 April 2016. ^ "Erdogan's travels". The Economist. Archived from the original on 25 April 2016. Retrieved 17 April 2016. ^ "News". Radikal. 1 July 2005. Archived from the original on 21 October 2012. Retrieved 23 March 2013. ^ a b c Yaakov Katz (12 November 2007). "Israel may sell Arrow and Ofek to Turkey". The Jerusalem Post. Archived from the original on 8 December 2017. Retrieved 12 November 2007. ^ "Damascus confirms channel with Israel". The Jerusalem Post. 30 March 2008. Archived from the original on 8 December 2017. Retrieved 30 March 2008. ^ Yaakov Katz (13 November 2007). "Peres, Gul at odds over Iran nuke threat". The Jerusalem Post. Archived from the original on 8 December 2017. Retrieved 12 November 2007. ^ Hurriyet DN Online with wires (4 January 2009). "Hundreds of thousands protest in Turkey against Israeli offensive". Archived from the original on 14 February 2009. Retrieved 17 April 2016. ^ Hurriyet DN Online with wires (2 January 2009). "Thousands protest Israeli attacks on the Gaza Strip in Turkey". Retrieved 17 April 2016. ^ a b "Stormy debate in Davos over Gaza". Al Jazeera English. 30 January 2009. Archived from the original on 30 January 2009. Retrieved 1 February 2009. ^ "Israel hits back at Turkey over scuppered air force drill". Haaretz. 10 November 2009. Archived from the original on 5 November 2012. Retrieved 24 March 2011. ^ "Netanyahu: Turkey can't be 'honest broker' in Syria talks". Haaretz. 18 October 2009. Archived from the original on 19 October 2009. Retrieved 18 October 2009. ^ "Turkish TV show has IDF soldiers 'killing' Palestinian kids". Ynetnews. Archived from the original on 5 January 2010. Retrieved 5 June 2010. ^ a b Renaudie, Jean-Luc (14 January 2010). "Israeli media slam govt handling of row with Turkey". AFP. Archived from the original on 21 January 2010. Retrieved 21 January 2010. ^ "Turkey, Israel and the US". Thenation.com. Retrieved 5 June 2010. ^ "Israel-Turkey tensions high over TV series". CNN. 12 January 2010. Archived from the original on 14 August 2011. Retrieved 5 June 2010. ^ "Shin Bet: Hamas operating in Turkey, China". The Jerusalem Post - JPost.com. Archived from the original on 24 October 2012. Retrieved 17 April 2016. ^ Ignatius, David (16 October 2013). "Turkey blows Israel's cover for Iranian spy ring". www.washingtonpost.com. The Washington Post. Archived from the original on 17 October 2013. Retrieved 16 October 2013. ^ Black, Ian; Haroon Siddique (31 May 2010). "Q&A: The Gaza Freedom flotilla". The Guardian. London: Guardian News and Media. Archived from the original on 3 June 2010. Retrieved 2 June 2010. ^ Tia Goldenberg (31 May 2010). "Pro-Palestinian aid flotilla sets sail for Gaza". The San Diego Union-Tribune. Associated Press. Archived from the original on 10 December 2017. Retrieved 4 June 2010. ^ Noah Kosharek; Liel Kyzer; Barak Ravid (2 June 2010). "Israel transfers hundreds of Gaza flotilla activists to airport for deportation". Haaretz. The Associated Press and DPA. Retrieved 2 June 2010. ^ "Turkey condemns Israel over deadly attack on Gaza aid flotilla". London: Telegraph. 31 May 2010. Archived from the original on 3 June 2010. Retrieved 5 June 2010. ^ "Archived copy". Archived from the original on 8 October 2011. Retrieved 6 February 2016. CS1 maint: Archived copy as title (link), "Turkey downgrades ties with Israel"
^ Arsu, Sebnem; Cowell, Alan (2 September 2011). "Turkey Expels Israeli Envoy in Dispute Over Raid". The New York Times. Archived from the original on 19 February 2016. Retrieved 4 September 2011. ^ Maayan Lubell (2 September 2011). "Israel hopes to mend ties with Turkey-govt official". Reuters. Archived from the original on 12 June 2012. Retrieved 3 September 2011. ^ Darren Mara; Chuck Penfold (3 September 2011). "UN chief tells Turkey, Israel to improve ties for sake of Middle East". Deutsche Welle. Archived from the original on 3 September 2011. Retrieved 3 September 2011. ^ "Hamas welcomes Turkey move to expel Israeli envoy". The Egyptian Gazette. 2 September 2011. Archived from the original on 27 March 2012. Retrieved 3 September 2011. ^ "'Erdogan painted himself into a corner' - Israel News, Ynetnews". Ynetnews.com. 20 June 1995. Archived from the original on 27 March 2013. Retrieved 23 March 2013. ^ Turkey: Israel possibly target of more sanctions Archived 8 September 2011 at the Wayback Machine by Selcan Hacaoglu and Aron Heller, Huffington Post, 6 September 2011. ^ "Barak on Turkey: This wave will pass." Archived 9 October 2011 at the Wayback Machine Ynetnews. 8 September 2011. 8 September 2011. ^ Keinon, Herb. "Erdogan threatens to send gunboats with next flotilla". JPost. Archived from the original on 24 October 2012. Retrieved 23 March 2013. ^ Benhorin, Yitzhak. "Obama urges Erdogan to resolve crisis with Israel." Archived 23 September 2011 at the Wayback Machine Ynetnews. 21 September 2011. 21 September 2011. ^ "Foreign Ministry: Turkey condemns Israeli military operation in Gaza Strip". En.trend.az. 15 November 2012. Archived from the original on 17 November 2012. Retrieved 23 March 2013. ^ "APA - Turkey condemns Israeli attack on Gaza, demands halt". apa.az. Archived from the original on 19 April 2016. Retrieved 17 April 2016. ^ "PM: Turkey does not intend to negotiate with Israel on Gaza situation". En.trend.az. 16 November 2012. Archived from the original on 19 November 2012. Retrieved 23 March 2013. ^ "Turkish FM defines Israeli attack on Gaza as a crime of humanity". Turkish Weekly. Archived from the original on 18 November 2012. Retrieved 23 March 2013. ^ Peker, Emre (19 November 2012). "Turkey's Erdogan Labels Israel a 'Terrorist State'". Wall Street Journal. Archived from the original on 18 July 2015. Retrieved 23 March 2013. ^ "Kerry calls Turkish prime minister's remark about Zionism 'objectionable'". CNN. 1 March 2013. Archived from the original on 20 October 2013. ^ "US rebukes Erdogan for comments on Zionism". South China Morning Post. 13 March 2013. Archived from the original on 4 March 2013. Retrieved 23 March 2013. ^ Nathaniel Botwinick (28 February 2013). "Turkish PM Erdogan: Zionism Is 'a Crime Against Humanity' Like 'Anti-Semitism or Fascism'". National Review Online. Archived from the original on 4 March 2013. Retrieved 23 March 2013. ^ "Erdogan says Zionism crime against humanity". Jerusalem Post. 28 February 2013. Archived from the original on 23 March 2013. Retrieved 23 March 2013. ^ "Israel: Turk's Remarks Criticized". The New York Times. 28 February 2013. Archived from the original on 22 July 2016. ^ "EJP". Archived from the original on 20 October 2013. ^ "Turkish PM says Zionism comments misinterpreted". The Times of Israel. Archived from the original on 3 March 2016. Retrieved 17 April 2016. ^ Turkey’s Erdogan claims Israel responsible for Egypt coup Archived 24 August 2013 at the Wayback Machine, Jewish Telegraphic Agency (JTA), 20 August 2013. ^ Turkey has evidence that Israel was behind Egypt coup: Erdoğan Archived 21 October 2013 at the Wayback Machine, Journal of Turkish Weekly, 20 August 2013. ^ ‘Israel behind Egypt coup’ – Turkish PM Archived 23 February 2015 at the Wayback Machine, Russia Today, 20 August 2013. ^ US, Egypt pan Turkish PM for saying Israel ousted Morsi Archived 20 August 2013 at the Wayback Machine by Gavriel Fiske and Stuart Winer, Times of Israel, 20 August 2013. ^ Ravid, Barak (29 June 2016). "Israeli security cabinet approves Turkey reconciliation agreement". Haaretz. Archived from the original on 16 August 2016. Retrieved 30 June 2016. ^ Humeyra Pamuk and Dasha Afanasieva (20 August 2016). "Turkish parliament approves deal ending rift with Israel". Reuters. Archived from the original on 23 September 2016. Retrieved 21 September 2016. ^ DPA (31 August 2016). "Erdogan signs deal to repair Turkey's broken ties with Israel". EBL News. Archived from the original on 8 November 2016. Retrieved 21 September 2016. ^ "Turkey chooses envoy to Israel, in final stage of reconciliation deal". Archived from the original on 12 October 2016. ^ "Israel postpones choosing new ambassador to Turkey". Archived from the original on 27 October 2016. ^ "Ties on the mend, Israel names new ambassador to Turkey". Archived from the original on 17 November 2016. ^ "Turkey appoints PM advisor as ambassador to Israel: Erdogan". Archived from the original on 16 November 2016. ^ "New Israeli envoy arrives in Turkey after rapprochement". Archived from the original on 4 December 2016. ^ "Turkey drops court case against Israeli raid on Gaza flotilla". Archived from the original on 12 December 2016. ^ Ravid, Barak (12 December 2016). "New Turkish Ambassador to Israel Hopes Reconciliation Will Also Benefit Palestinian Lives". Archived from the original on 13 December 2016 – via Haaretz. ^ a b "Turkey, Israel: Potential for a fresh start?". Archived from the original on 27 April 2016. Retrieved 17 April 2016. ^ "Israel's trade with Turkey worth $2b in first half - Globes English". Archived from the original on 8 January 2013. ^ Uri Friedman. "The Tie That Still Binds Israel and Turkey: Trade". The Wire. Archived from the original on 19 March 2012. Retrieved 17 April 2016. ^ "ECONOMY - Business as usual between Turkey, Israel". Archived from the original on 13 April 2016. Retrieved 17 April 2016. ^ a b c "UAVs 'could end Israel-Turkey rift'". Archived from the original on 12 September 2011. Retrieved 13 September 2011. ^ "Turkey 'freezes arms deals with Israel'". upi.com. Archived from the original on 5 June 2014. Retrieved 1 June 2014. ^ "Visa Information For Foreigners / Rep. of Turkey Ministry of Foreign Affairs". Mfa.gov.tr. Archived from the original on 8 June 2011. Retrieved 23 March 2013. ^ "Türk Vatandaşlarının Tabi Olduğu Vize Uygulamaları / T.C. Dışişleri Bakanlığı". Mfa.gov.tr. Archived from the original on 6 April 2013. Retrieved 23 March 2013. ^ Amy Teibel (31 October 2010). "Tourism minister urges Israelis to boycott Turkey". The Boston Globe. Archived from the original on 4 November 2012. Retrieved 3 February 2012. ^ Rob L. Wagner (15 October 2011). "At Turkish resort, Arabs fill Israeli rooms". Jerusalem Post. Archived from the original on 19 December 2011. Retrieved 3 February 2012. ^ Tulin Daloglu (30 June 2012). "20% Israeli Tourists "Not Needed" In Turkey, Says Erdogan". Al-Monitor. Archived from the original on 12 August 2012. Retrieved 6 August 2012. ^ Sapir Peretz (10 October 2011). "20% increase in Israeli tourists to Antalya". Globes. Archived from the original on 17 October 2011. Retrieved 3 February 2012. ^ Zohar Blumenkrantz (4 July 2010). "Turkish Airlines drops number of daily flights to Israel". The Marker - Haaretz. Archived from the original on 9 July 2012. Retrieved 3 February 2012. ^ Zohar Blumenkrantz (7 September 2011). "Turkish charter airlines cancel weekly Israel flights". Haaretz. Archived from the original on 11 September 2011. Retrieved 3 February 2012. ^ Weinbaum, Laurence. "Everyone Fights for What He Hasn't Got: Troubled Relations between Turkey and Israel." Welt Trends 81 (2011): 9-12. Print. ^ Joshua Mitnick in Tel Aviv, Israel and Marc Champion in Istanbul (3 December 2010). "Turkey Helps Fight Israeli Fire". WSJ. Archived from the original on 7 March 2016. Retrieved 17 April 2016. ^ "Turkey requests foreign quake aid amid lack of tents - Diplomacy - Worldbulletin News". World Bulletin. Archived from the original on 19 April 2016. Retrieved 17 April 2016. ^ "Turkey says 'yes' to Israeli earthquake aid offer". Jerusalem Post. 25 October 2011. Archived from the original on 25 October 2011. 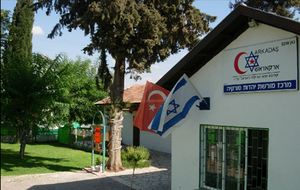 ^ "Arkadash - The Turkish Jewish Community in Israel". Archived from the original on 5 April 2016. Retrieved 17 April 2016. ^ "Israeli-Turks watch relations crumble between their lands". The Jerusalem Post - JPost.com. Archived from the original on 11 January 2013. Retrieved 17 April 2016. ^ "Delek proposes Cyprus facility to process Israeli gas". Haaretz. Associated Press. 23 January 2011. Archived from the original on 26 January 2011. Retrieved 1 January 2012. ^ Haaretz (30 September 2011). "Report: Israel scrambles IAF warplanes toward Turkish ship". Haaretz. Archived from the original on 29 December 2011. Retrieved 1 January 2012. ^ JAMES KANTER (30 August 2012). "Cyprus-Israel close to gas-sharing deal". The New York Times. Archived from the original on 5 September 2012. Retrieved 30 September 2012. ^ "Palestine Vote a 'Booster' for Peace: Turkey". Turkish Weekly. Archived from the original on 2 December 2012. Retrieved 23 March 2013. ^ "Turkey Hails Historic UN Vote for Palestine". Turkish Weekly. Archived from the original on 11 December 2012. Retrieved 23 March 2013. ^ "APA - Palestine says would celebrate UN victory at New York Turkish Center". Archived from the original on 19 April 2016. Retrieved 17 April 2016. Turkish-Israeli Relations: Is It All About Iran?